Home » inspirational , KBL-Random-Ramblings » How To Beat The Blues? It is a popular myth that chocolate is the best mood up-lifter. I say "myth" because nothing can be farther from the truth. 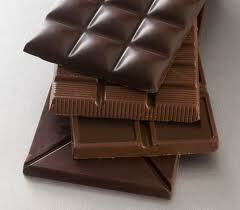 While chocolate does indeed make you feel good for a short period of time, that feeling is just a temporary illusion. After a little while, when common sense and practicality hit you again, and you realize how many extra calories you would now need to burn, you sink even deeper into the 'abyss' than before! First, there were just the "blues" to deal with; now you have the guilt too! No good at all! Next time when your spirits are low, don't go raiding the refrigerator for some chocolate. Instead, get on your treadmill, plug-in the earphones of your iPod, Walkman or whatever portable music device you have, and try to "chase" the blues away. Just pretend you're out to catch them and that you would throttle their necks if you get hold of them, and see how fast they run off! Honestly! This works like magic! All the pent up anger, frustration, and any other similar emotions that you might have, pretend that they are real entities, with form, running ahead of you on the treadmill, in order to avoid capture.... while you just charge on them, like a one-man-army, and scare them all off! The best part is that you don't even feel miserable later on about those extra calories! 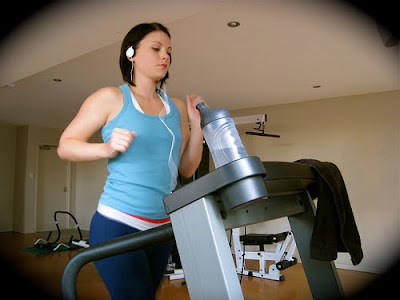 This is my thirteenth post for NaBloPoMo November 2010. Very good post and suggestion. That is what I try to do too - work out a sweat ! Nothing beats it. I agree with you absolutely.Chocolates is only calories. @ Jarlin: I have 2 Cadbury's Dairy Milk bars in my fridge right now... but now... the thought of adding more calories just adds to the gloominess. @ Mahesh: Very true dude! Btw did u get my emails? @ Mr. Chowla: Oh yes... total calories! I got your emails. Sorry ! Never got a chance to reply you back though. Will email you back soon.